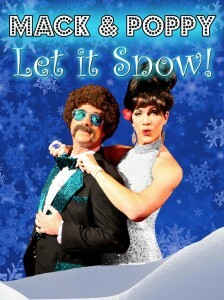 M&P Productions has announced that Mack & Poppy will return to Los Angeles with their new holiday entertainment, Let It Snow!, for two performances only on Saturday, November 28 at 8pm and Sunday, November 29 at 7pm at the Cavern Club Celebrity Theatre inside Casita Del Campo Restaurant in Silver Lake. Kicking off this year’s holiday season, Let It Snow! promises to be festive, irreverent, loaded with humor, and full of wonderful holiday music to warm the cockles of your cockles. Mack & Poppy are the creation of Christopher Michael Graham and Tod Macofsky. Crooner Mack Diamond (Macofsky) began his career as a child star, singing on street corners with his two older brothers, Shlomo and Moishe. Later, Mack suffered a decade of depression and alcoholism in Las Vegas, where he spent eight years performing his solo show, A Yiddishe Mackie, at The Imperial Palace. He met the lovely Poppy Fields while she was in the chorus of Jubilee!, and the rest is showbiz history. Southern Belle Poppy Fields (Graham) escaped the narrow-minded confines of Possum Trot, Alabama, and traveled the world as a singer/dancer/actress, entertaining celebrities, businessmen, and heads-of-state. After a successful beauty pageant career, the glitz and glamour of Las Vegas called, where Poppy wed and divorced four husbands before finally meeting and marrying the “Sensation of the 24-hour Buffet,” entertainer Mack Diamond. With musical direction by the legendary Jack Cheddar (John Randall), Mack & Poppy: Let It Snow! is sure to sell out and early reservations are recommended. Tickets will be available beginning November 1 ($15 in advance, $20 at the door), and may be purchased online at http://www.brownpapertickets.com/event/2259589 or by calling (800) 838-3006. For more information, visit wwww.mackandpoppy.com. Casita Del Campo is located at 1920 Hyperion Avenue in Los Angeles, 90026. Valet and street parking are available. 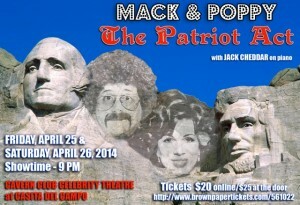 Mack & Poppy are set to make their long-awaited return to Los Angeles with their new show The Patriot Act on Friday, April 25 and Saturday, April 26. The curtain will rise at 9pm for both shows at Cavern Club Celebrity Theatre inside Casita Del Campo Restaurant in Silver Lake. In this star-spangled romp, Mack and Poppy present a musical tribute to the greatest country in the world (the USA, of course) as a send-off to their beloved cabana boy Fernando, just prior to his imminent deportation. This dynamic duo of comedy and song will take their audiences on a road trip from sea to shining sea, across the purple mountains’ majesty, across the fruity plains. Mack & Poppy will be accompanied by music director Jack Cheddar at the piano. The Patriot Act will play two performances only at the Cavern Club Celebrity Theatre inside Casita Del Campo Restaurant on Friday, April 25 and Saturday, April 26 at 9pm. Tickets are $20 in advance, and are available online at http://www.brownpapertickets.com/event/561022 or by phone at (800) 838-3006. Tickets are $25 at the door. For more information, visit www.mackandpoppy.com. Casita Del Campo is located at 1920 Hyperion Avenue in Los Angeles, 90026. Mack & Poppy will return to Los Angeles to celebrate the holidays with It’s Christmas! (F#*k The Mayans! ), for two shows only on Saturday, December 22 at 8pm and 10pm, at the Cavern Club Celebrity Theatre inside Casita Del Campo Restaurant in Silver Lake. 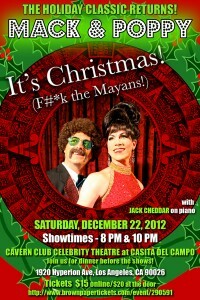 Assuming the world doesn’t end the day before, Mack and Poppy, accompanied by Jack Cheddar at the piano, will bring their one-of-a-kind Christmas show to LA audiences. Featuring favorite tunes from last year’s show as well as new material, Mack and Poppy will once again give holiday revelers an irreverent evening of song and laughter that’s sure to be talked about … at least until New Year’s Eve. 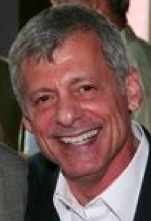 Crooner Mack Diamond (Tod Macofsky) began his career as a child star, singing on street corners with his two older brothers, Shlomo and Moishe. Later, Mack suffered a decade of depression and alcoholism in Las Vegas, where he spent eight years performing his solo show, A Yiddishe Mackie, at The Imperial Palace. He met the lovely Poppy Fields while she was in the chorus of Jubilee!, and the rest is showbiz history. Southern Belle Poppy Fields (Christopher Michael Graham) escaped the narrow-minded confines of Possum Trot, Alabama, and traveled the world as a singer/dancer/actress, entertaining celebrities, businessmen, and heads-of-state. After a successful beauty pageant career, the glitz and glamour of Las Vegas called, where Poppy wed and divorced four husbands before finally meeting and marrying the “Sensation of the 24-hour Buffet,” entertainer Mack Diamond. Mack & Poppy will play two performances only at the Cavern Club Celebrity Theatre inside Casita Del Campo Restaurant on Saturday, December 22, at 8pm and 10pm. For tickets ($15 in advance, $20 at the door), go to www.brownpapertickets.com/event/290591 or call (800) 838-3006. For more information, visit www.mackandpoppy.com. Casita Del Campo is located at 1920 Hyperion Avenue in Los Angeles, 90026.